“Caballo, is the Spanish word for horse,” came a neutral but pleasant female voice in surround sound. Cali looked to her father blankly, not confused but not interested either. If she wasn’t confused, I was. Where was the person, the face, a smile, maybe even a touch? At the age of three Cali accepted the voice-bot as half a conversation, but knows only to ask Alexa questions that she’s heard from her parents. Soon she will develop her own questions, expecting answers from the computer program listening in under their widescreen. Alexa, Siri, Cortana, Google Home, Ellipsis, or a dozen other voice-interface programs could be teaching her just about everything, making her wishes their every commands. Cali’s view of the world will be shaped not only by the information she absorbs but more importantly, by the way she absorbs it. In a few years she will be conversing with a voice-bot in her living room to both learn about the world and to function as her surrogate in it. Parents will be using sophisticated computer programs in place of teachers and textbooks for homeschooling. The methods Cali uses to learn today will create her neural pathways for life, connections that are precisely attuned to those methods. Her “learning how-to-learn” pathways, forged during this critical period at age three will influence and direct her perceptions and her expectations. The neural pathways she develops that interface efficiently with computers will open doors to vast potentials of thinking, problem-solving, and achieving. At the same time Cali asks questions and Alexa recognizes her voiceprint and answers, their conversation is being stored. Like kids all over the world, Cali is integrating into “The Voice Revolution,” a novel way of learning about the world that is, in some ways, like “The Speech Revolution” when man first learned to talk. Will “The Voice Revolution” redirect human evolution, jump-start a new Age of Enlightenment, free energy to solve our largest problems, or enable mass programming by autocrats? Human voices, though, have been around a long time, between 50,000 and 2,000,000 million years depending on who you talk to. Exact dates are elusive because fossils of mankind’s first mutterings, unlike the use of stone tools, leave no trace. What we do know is that ever since mankind first discovered speech we’ve become good at communicating important lessons in survival, passing down family histories, philosophies, religious beliefs, and yes, telling a tall tale or two. While good stories can teach us valuable lessons and information, they are generally best heard when aligned with what we want to hear. Thus, a good storyteller might be inclined to “Never let the truth get in the way of a good story.” - Mark Twain. Fortunately, we have ways to preserve truths and check the facts. When we first come into the world, however, as infants, toddlers, and children (and finally - as voters) we show an instinctive and healthy distrust of information coming from sources we don’t know personally. Early on, kids prefer listening to their parents and people who love them rather than voices from a computer. As for me, if Alexa could answer questions about the nature of the human brain and what compels man to develop machines that learn how-to-learn and that evolve their computer intelligence, I’d be quite content to listen. To get an idea of the complexity of what’s going on behind the twinkling and searching eyes of a three-year-old, researchers look at micrographs of neurons and their dendritic connections that develop in the first three years of life. At birth, one neuron in a baby’s brain maintains an estimated 2,500 synaptic connections. In the next two years, when the brain expands its function most rapidly, as many as 40,000 new synapses are formed per second! By the age of three, each neuron has grown 15,000 more synapses, generating six times more learning capacity! 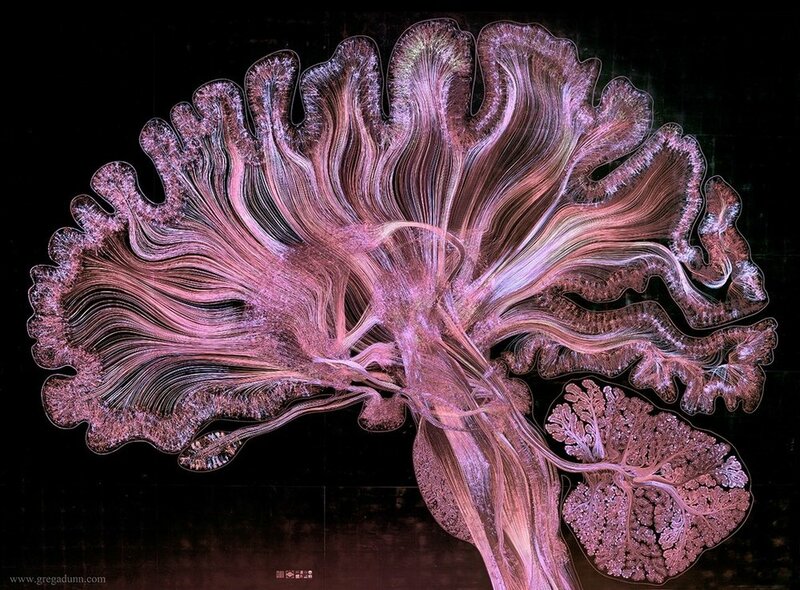 However, at age three the brain takes a large U-turn and reverses itself, beginning a comprehensive “pruning” process, selecting out and eliminating an astounding ~40% of its neurons and their synaptic connections! 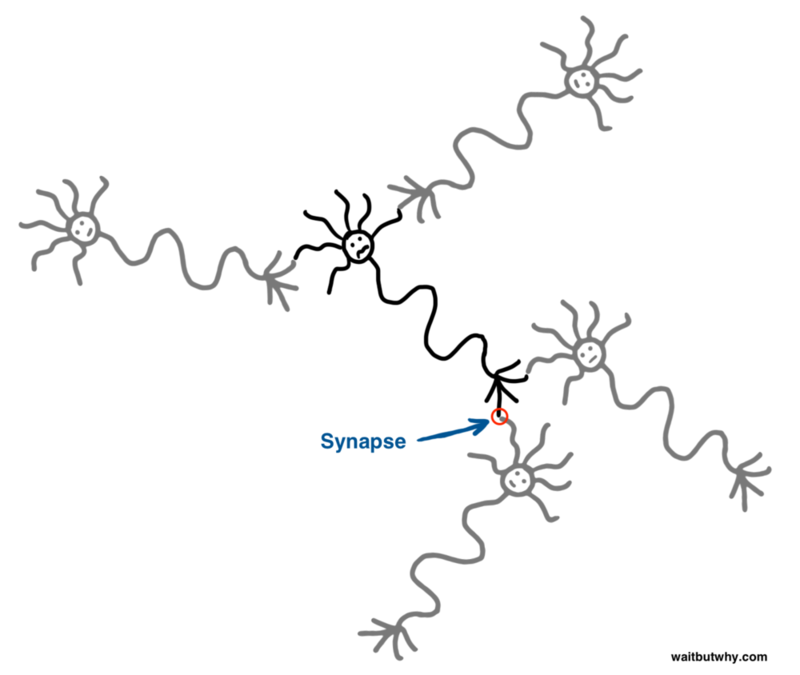 As toddlers pass into pre-school and their more-used pathways grow stronger, patterns of behavior become gradually more fixed and this “synaptic pruning” slows some, but still continues. By age 10 the brain has developed an elaborate set of filters and become more discerning about the information it accepts. An astounding 50% of the synaptic connections formed at age three have been selectively disappeared. It’s counterintuitive, but as children soak up more experience and information the number of their synaptic connections begins a tenfold decline! ... from 1,000 trillion synapses at age three to approximately 100 trillion in adulthood. The childhood brain has dedicated itself to learning in the ways it encountered most often during its“critical periods,” many of which begin at the age of three! Our three-year-old brains begin making the biggest decisions of our lives - which connections to keep and which to discard. The different ways we learn "how-to-learn," that is, our seven different “learning styles” stick like glue. “I’m sorry, but I can’t answer that.” Not making judgements about good or bad, Alexa still gives an answer eerily reminiscent of HAL, the spacecraft computer in 1968’s 2001: Space Odyssey. When HAL is told, “Open the Pod Bay doors, HAL,” by Captain Dave, it replies, “I’m sorry, Dave, I’m afraid I can’t do that.” HAL had reviewed the information and calculated that the spacecraft's mission would be better served with itself at the helm, and not Captain Dave. Unlike HAL, Alexa doesn’t make life-or-death decisions and does gratify the wishes of those who speak to it. Is that all good? As parents, we might be enticed by the ease of our children’s education - learning without books, without reading or writing, or taking notes, or studying, and without teachers! Except when Alexa’s answers cross the lines of social taboos, we might believe that our toddlers should be signed up for voice-bot pre-school. Alexa speaks in a soothing voice, a blend of tone, rhythm, pitch, resonance, pronunciation, with a bedside manner of coolness, a blend we call “prosody.” At the same time we hear this blend of credibility and curb appeal, we are receiving information conveyed by words and syntax. Voice-bots that are well-engineered with authentic prosody can sound like a psychologist in a wingback chair, the most enthused life coach, a tutor in astrophysics, a best friend and confidante, a highly-ranked medical diagnostician, or even … a parent? Alexa could be programmed to be a Brünnhilde German governess instilling strict discipline day and night, or a Lily Tomlin-like I’m OK/You’re OK mom with just a little buzz, or a Carl Rogers therapist voice-bot who asks questions back, then listens with unconditional positive regard, acceptance and empathy? Why not? In general, computers can be programmed to teach much of what their programmers know and do. They can be programmed to teach themselves, then reason deductively using all they’ve learned and explain anything in a logical sequence. But can computers mentor, motivate and inspire young children? Can they teach gratitude? awe? compassion? or humanity? How will a computer provide the motivation, positive regard, and reinforcement that all age groups need to thrive? Wouldn’t it be easier to download all known-knowledge of mankind onto micro-chips and insert them into the brain? or overlay the cerebral cortex with a lacework of micro-films that add new dimensions to brain capacity? Yes! That’s the ticket! 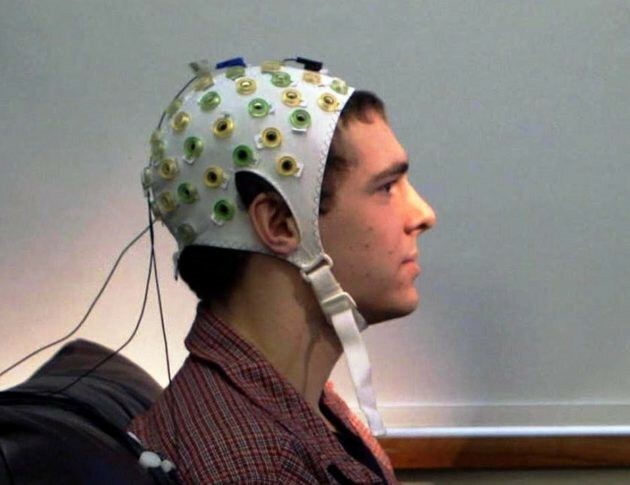 say start-up companies like “Neuralink,” “Galvani Bioelectronics,” and “Kernal,” that are leading the way into “brain augmentation,” brain-computer interfaces, “neural laceworks,” “direct cortical interfaces,” “deep brain stimulations,” and tiny neural implants that “may one day upload and download thoughts." CEOs of such well-funded companies envision a brain with implanted lacework meshes or films that can impart memories and vastly improved capabilities. One goal, the transfer of thought and memories from person to person, if successful, would transform the human brain into the ultimate wireless device. Will Alexa, Siri, and next-generation voice-bots evolve into various versions, sold according to our biases? Alexa/Survivalist, Siri/Pragmatist, Cortana/Dreamer, Google/New Age, HomePod/AltRight, Amazon/Progressive,or Siri/Centrist? Will the choices we make with our computers automatically slant the information we receive and further polarize our thinking? Will we need a second computer in the living room to listen in on Alexa as a fact-checker? When elected leaders of democracies can tell thirty "untruths" per day to a loyal percentage that believes these “untruths," imagine what billions of computer programs can do. Will the natural neural networks of children that were once dedicated to building family, community, curiosity, love, and perseverance - or will these networks become inundated and programmed with propaganda? Will we learn earlier and earlier in life to believe everything we hear? Or, will Cali learn to question authority, be somewhat oppositional and ask first for the sources of her information, and check the so-called-facts before believing anything? In a biological sense, the skyrocketing amount of information available to Cali’s generation and the increasing speed in which they absorb it will change the course of human evolution. After all, we are the greatest of adapters on earth. Our youngest are growing up in the midst of a vast experiment with their minds as subjects and the trajectory of their lives as the results. Voices replacing hands as the primary interface with computers, bionic replacement parts, and computers solving once unsolvable problems in seconds afford mankind immensely positive possibilities. Yes, there will be misuse and problems but we can self-correct; we will adapt; and we have every reason to believe that science and technology will provide a nearly infinite array of solutions.